Many thanks to the Narragansett TU Chapter for being such gracious, welcoming hosts. I think that was my biggest crowd to date. It’s always gratifying to be able to talk and teach at the grassroots level. Thanks also to everyone for the follow-up emails. The first time I fished the Crazy Menhaden Big Eelie was a humid, overcast June night on Block Island. A substantial school of bass in the ten-to-fifteen pound range was feeding on sand eels near the surface. They had the bait pinned in a three-foot deep trough between the beach and a sand bar that dropped off into deeper water. For the better part of three hours, I took bass after well-fed, rotund bass. They relished the fly, even after it was reduced to two saddles and some frayed bucktail. As I began the walk to my Jeep, the angler to my right hurriedly reeled in his line and chased me down the beach, eager to pop the question. As its name suggests, this fly takes the color scheme of Ken Abrames’ Crazy Menhaden and applies it to the template of the Big Eelie. Together, they create an insanely potent brew of form and function. Tying notes: As with all Big Eelies, make the saddles thin. Tie them in flat. I like this fly about four and one-half inches long. Treat the marabou as a veil, not an opaque blob. (Please forgive the fish-unfriendly photo. 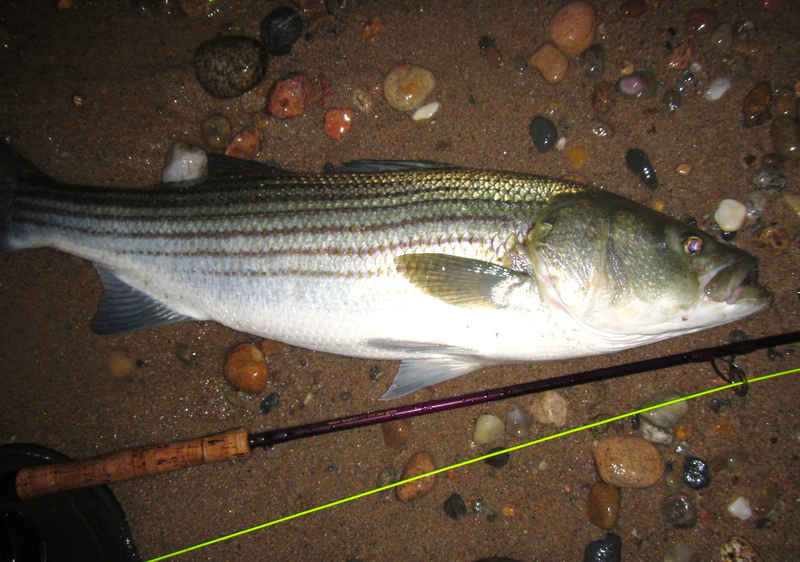 This was the only striper I beached to shoot. I lipped the rest). When you travel around the northeast making evening presentations to fly fishing clubs, you learn to keep a stash of protein bars in your case. Especially if you get grumpy when you’re hungry. 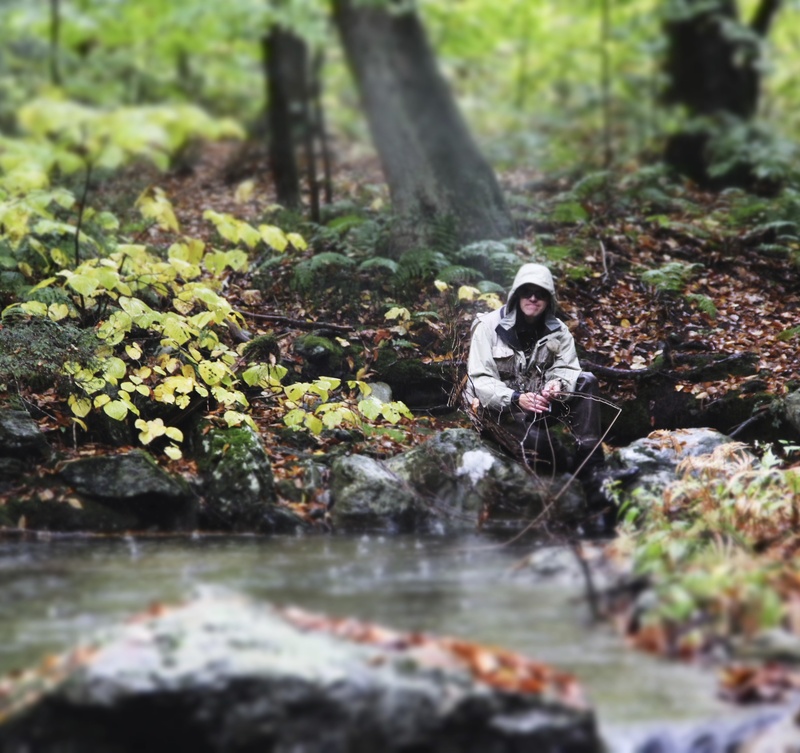 Or, you could just present to the Candlewood Valley Trout Unlimited Chapter. They trot out a spread of cheese pizzas, and invite you to have at it. So, thank you, CVTU for being such gracious hosts. 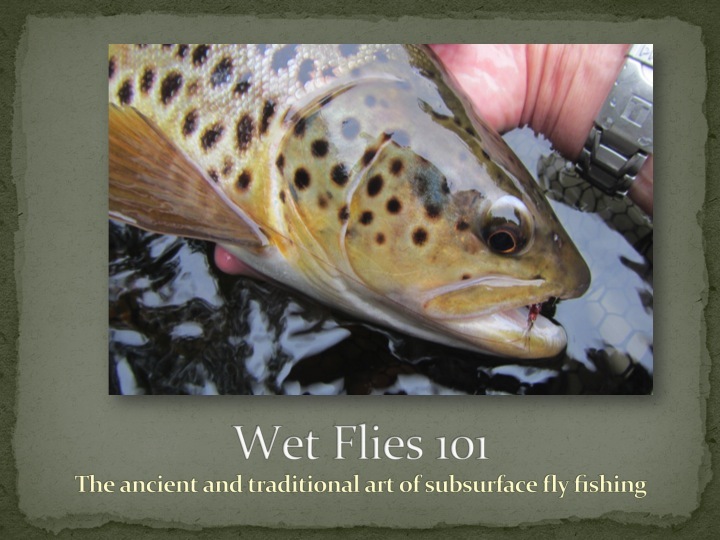 I really enjoyed presenting “Wet Flies 101” to such an engaging group. 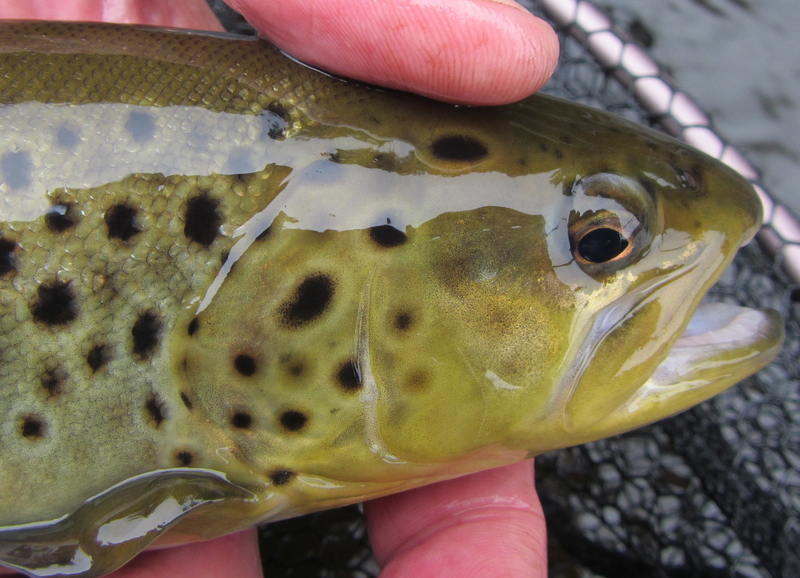 One of the many gorgeous creatures you can expect to catch with wet flies. I also thought I’d make this thank you note a little more appealing to those who weren’t in attendance. At the end of each presentation, I open the floor to questions. Here are a few topics we covered. Q: Where do you attach weight to the leader if you want to quickly sink the flies? A: One BB shot to start, just above the knot that forms the middle dropper. Q: When your team of wets is downstream, how do you re-cast them? 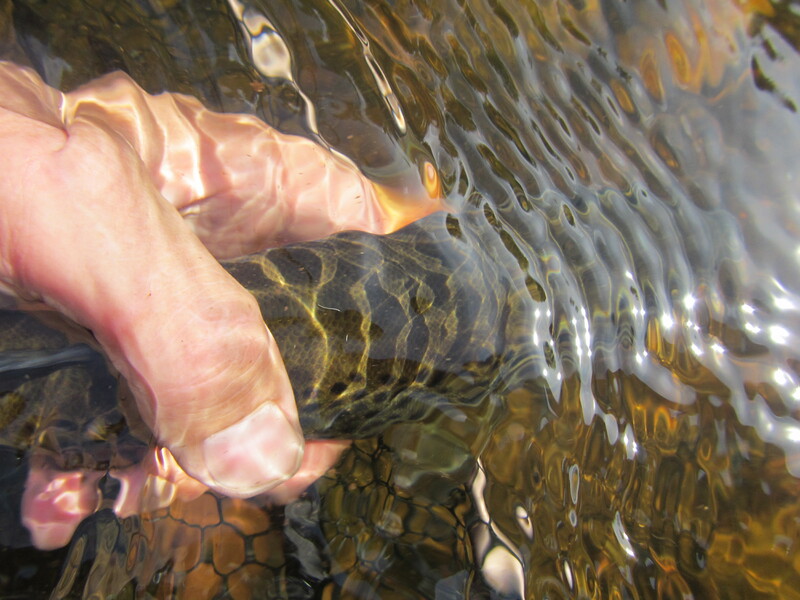 Do you water load the rod and shoot them upstream? A: It depends on where I want to make my next cast. If it’s upstream, and doesn’t require a precision or a long cast, yes, I’ll water load the rod and shoot the whole works. But mostly, I like to aerialize the line before I cast. Still, I like to keep false casting to a minimum. Q: How long do you dangle? A: Shocking! I can neither confirm nor deny the rumors. But seriously, the issue is how long do I leave the flies dangling in the current below me? If I know a fish is there, I might leave it for several minutes. I might also animate the flies by slowly raising and lowering the rod tip, perform a hand-twist retrieve (with the rod tip raised), or sweep the flies back and forth in the current with side to side mends. Just a reminder that my next presentation (also Wet Flies 101) is to the Narragansett (RI) TU Chapter, Thursday, February 26. You can get directions at their website, tu225.org. We had a sellout crowd at today’s class — thanks to everyone for taking the time to come. 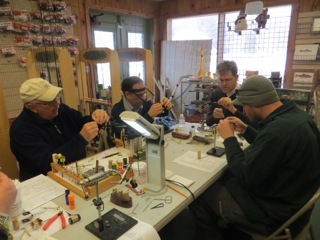 Really good group, very enthusiastic, and we spent as much time talking about wet fly tying, theory, and fishing as we did tying. I had fun, too — so much that I couldn’t believe it when I looked at my phone and it was 1:40pm. Like a soccer match, we added some extra time, and in the spirit of one more cast, squeezed in another tie. 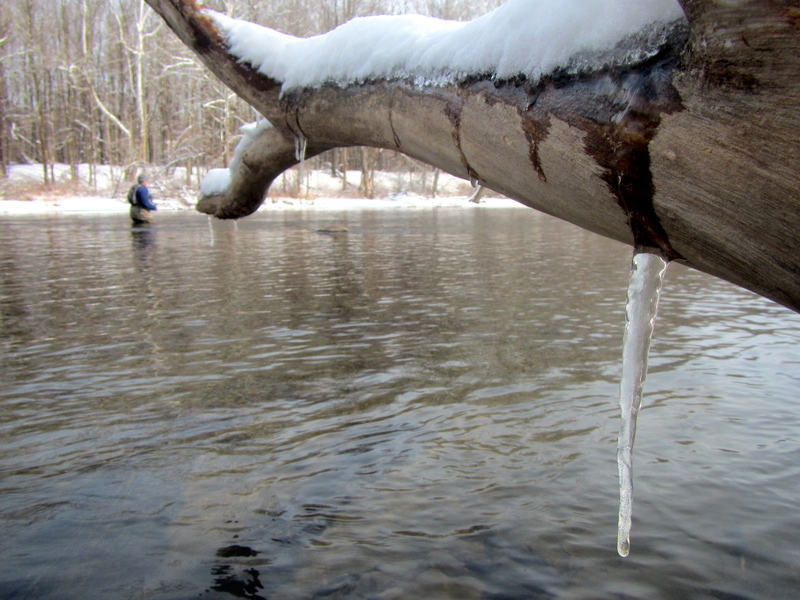 I’d also like to take this opportunity to formally warn the trout in the Farmington River: there are now five more anglers who are going to be fooling you on regular basis. For your own safety, stay within the TMA. Busy, busy, busy. Time flies — did I really just write that? — when you’re tying soft-hackles. Tying and talking. Do not try this at home. Just a reminder that I will be giving a presentation, “Wet Flies 101,” Tuesday night, 2/11, at the CVTU meeting at 7pm at Armando’s Restaurant, 47 Stony Hill Rd, Bethel, CT. Hope to see some of you locals there! January 31 marked the first anniversary of this website. WordPress sent me a little reminder valentine, which is nice because it had completely slipped my mind. I was unsure what to expect when I started currentseams. People had been suggesting to me that I start a blog, but I hated that word. Blog, to me, sounded like some affected entity that had the massive potential to come off like, “Dear diary…today I went fishing!” Not for this man. I knew I needed a website for my guiding, fly tying, writing, and speaking business; I was blowing it off because there was no way I was going to put a out sucky product. Finally, I ended up at WordPress, found a format I liked, and waded in. And here we are, 112 (Really? Wow!) followers later. I want to say thank you to all of you. I appreciate your readership. Looking to the present and future: in addition to the more of the same high-quality content, I have some new ideas for currentseams. One of those is that I am starting to add outside links to other sites. 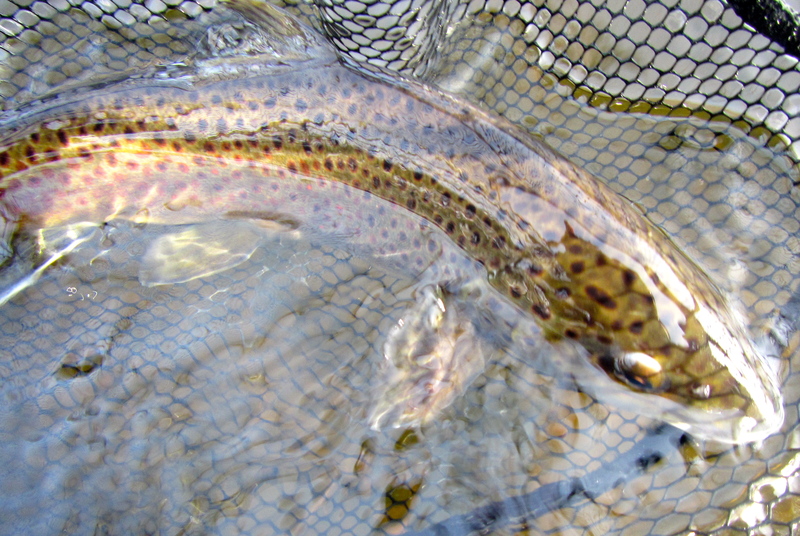 These will be fly fishing industry-related, anything from shops to magazines to other blogs. 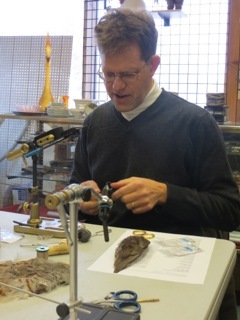 I’m starting with UpCountry Sportfishing and Great Feathers. UpCountry is the primary shop I teach out of, and your single source for all things Farmington River. Great Feathers has a comprehensive selection of wet fly tying materials, including some harder-to-find hooks. You can find the links in the right hand column of currentseams. The second bit of news is that I am close to (finally!) doing a some tying videos. I think the wait will be worth it. That’s all for now. Thanks again for reading. P.S. When I ran the 100th Follower contest, I really enjoyed hearing from so many of you. Feel free to leave a comment (especially some of the new folks). I read them all. I’m way happier about the one-year anniversary of currenseams than I look here. Really. Honest.